Newly launched London-based Cityloque.com is looking sharp. Co-founded by CEO Anna Halsall, and CTO Ivan Brewis, they feel that the city blogging space isn’t well served—and that’s the space they’re going for. The duo designed a fantastic looking platform, for bloggers to share their city posts and the world to easily find them – all in one place. Cityloque’s founders believe that they do city blogging better… with the help of Filepicker. The brainchild of CEO Anna Halsall, her vision was for Cityloque to be an interactive city blogging platform, where people around the world could read and share the things they love about their cities. From food reviews and art openings to independent boutiques and bookshops to cultural institutions and everything in between, Cityloque was conceived as a social venture aiming to support local businesses, preserve cities’ identity and share insiders’ knowledge. Completely different from other city blogging platforms, Cityloque allows users to follow specific cities, interests and writers, so readers see posts most relevant to them automatically. The platform is closely integrated with Twitter, allowing authors to tag Twitter users and use hashtags in their articles. 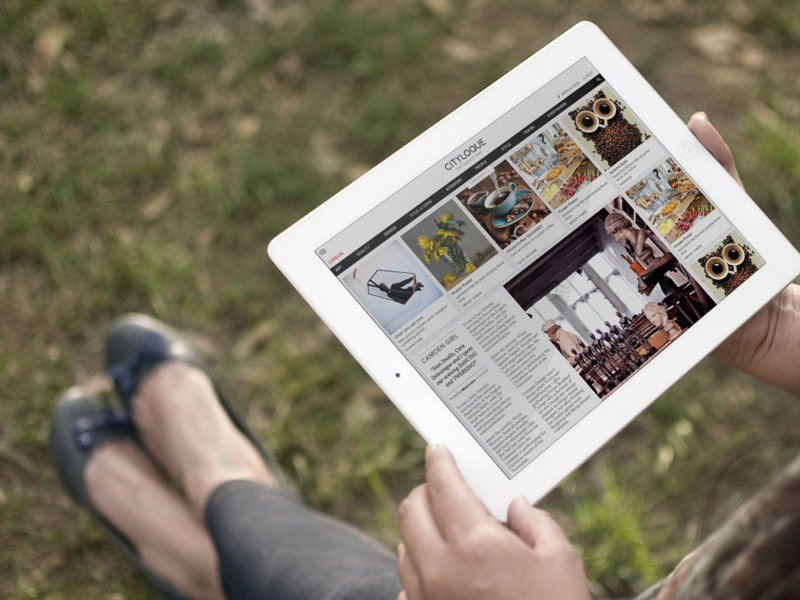 Cityloques’ blogging platform needed to showcase visual content first, says CTO Ivan Brewis. All posts are displayed in one continuous scrolling page, saving time and allowing readers to quickly find what they are most interested in. The idea with this format is that there’s no need to search for blogs or tips online. All you have to do is visit Cityloque and see what people are blogging about. Ivan and Anna, while working on the technical design, knew that they they couldn’t target just one platform, that they had to get images from many different sources. Building their development team happened serendipitously when Ivan was on Twitter and saw that a developer he had previously worked with and respected was leaving his permanent job. The developer was interested in Cityloque, and became part of the team, bringing another developer along with him. It turns out that Filepicker integrated into Cityloque was quick to deploy and manipulate. Bloggers have found it easy to use, they can get images from practically any source including other social media and importantly the various mobile platforms.